One holiday you might not be aware of, though, is Persado’s 4th birthday! We were born on 12/12/12, and over the last four years we’ve enjoyed so many milestones in both the development and expansion of our AI-based technology and in our relationships with happy customers. Closing a $30 million Series C financing this year led by Goldman Sachs, with participation from Bain Capital Ventures, StarVest Partners, American Express Ventures and Citi Ventures. Growing from two customers to over 100. Surpassing 6,000 cognitive content campaigns, which includes over 45 million unique messages. Ranking No. 16 on Inc. Magazine’s 35th annual Inc. 500 list of the nation’s fastest-growing private companies. TO LEARN MORE ABOUT OUR GROWTH OVER THE YEARS, CLICK HERE. We started with intuition and creativity and moved to what we have today, a machine-learning platform that matches performance data to language, allowing us to solve the problem of writing the best message like a math equation. This flash of insight (followed by lots of hard work) created Persado and has delivered an average 49.5% lift in conversions for our customers. We’re not the types to rest on our laurels. Even with no direct competitor in sight, we’re improving our technology and launching new products to provide customers with the most reliable platform for cognitive content generation. 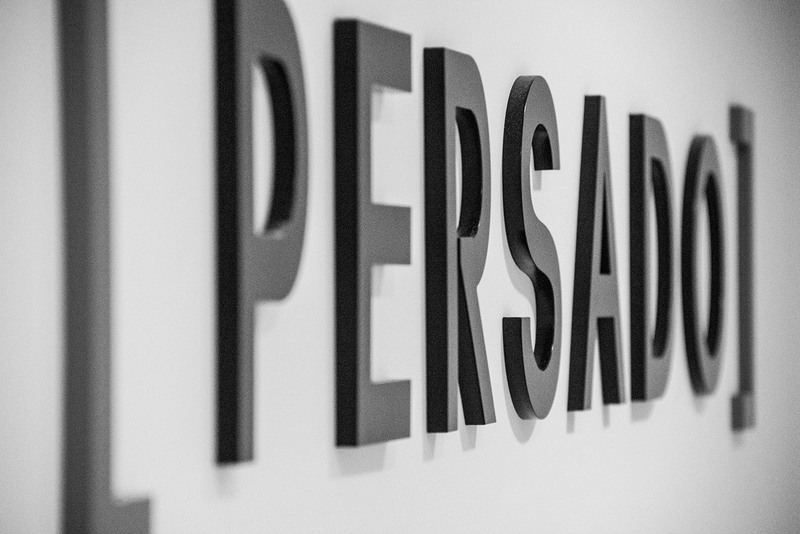 Persado is the result of a lot of people: our diverse and fast-growing team, our clients, and the investors who have placed so much confidence in our company. We’re forever grateful to all of them and grateful to you for joining us in this celebration. And now, for your enjoyment, a time lapse video of artist and Persado family member RJ Gualberto creating our wall-sized holiday/birthday card.